Higher antioxidant levels, lower pesticide loads, better farming practices all lead to a more nutritious end product when choosing organic over GMO foods. But the primary culprit in this disturbing nutritional trend is soil depletion: Modern intensive agricultural methods have stripped increasing amounts of nutrients from the soil in which the food we eat grows. Sadly, each successive generation of fast-growing, pest-resistant carrot is truly less good for you than the one before. “Efforts to breed new varieties of crops that provide greater yield, pest resistance and climate adaptability have allowed crops to grow bigger and more rapidly,” reported Davis, “but their ability to manufacture or uptake nutrients has not kept pace with their rapid growth.” There have likely been declines in other nutrients, too, he said, such as magnesium, zinc and vitamins B-6 and E, but they were not studied in 1950 and more research is needed to find out how much less we are getting of these key vitamins and minerals. The Organic Consumers Association cites several other studies with similar findings: A Kushi Institute analysis of nutrient data from 1975 to 1997 found that average calcium levels in 12 fresh vegetables dropped 27 percent; iron levels 37 percent; vitamin A levels 21 percent, and vitamin C levels 30 percent. A similar study of British nutrient data from 1930 to 1980, published in the British Food Journal,found that in 20 vegetables the average calcium content had declined 19 percent; iron 22 percent; and potassium 14 percent. Yet another study concluded that one would have to eat eight oranges today to derive the same amount of Vitamin A as our grandparents would have gotten from one. Tomatoes grown by organic methods contain more phenolic compounds than those grown using commercial standards. A study published in the Journal of Agricultural and Food Chemistry analyzed the phenolic profiles of Daniela tomatoes grown either using ‘conventional’ or organic methods, finding that those grown under organic conditions contained significantly higher levels of phenolic compounds than those grown conventionally. The important thing to note in these deficiencies is that these are exactly the deficiencies in a human being that lead to susceptibility to sickness, disorders and cancer. People who have osteoporosis are low in calcium and magnesium, people who have cancer are low in manganese. The list goes on and on. A stunning report on GMO vs. organic corn posted on Moms Across America clearly showing the nutritional value difference between GMO corn and NON GMO corn. 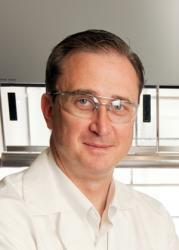 University of Arizona Cancer Center member Dr. Mark Pagel will receive a $2 million grant from the National Institutes of Health to study the effectiveness of personalized baking soda therapy to treat breast cancer. In other words, clinical trials on the use of oral sodium bicarbonate for breast cancer treatments are about to start! Obviously there are people in the know who have understood that sodium bicarbonate (baking soda), that same stuff that can save a person’s life in the emergency room in a heartbeat, is a primary cancer treatment option of the safest and most effective kind. Of course I feel vindicated for everything I wrote in Sodium Bicarbonate – Rich Man’s Poor Man’s Cancer Treatment, which still stands as the only full medical review on the subject of using simple baking soda in the practice of medicine. When taken orally with water, especially water with high magnesium content, and when used transdermally in medicinal baths, sodium bicarbonate becomes a first-line medicinal for the treatment of cancer, kidney disease, diabetes, influenza and even the common cold. And importantly, it is also a powerful buffer against radiation exposure, so everyone should be up to speed on its use. Everybody’s physiology is under heavy nuclear attack from strong radioactive winds that are circling the northern hemisphere. Actually it is no surprise that a University of Arizona researcher received this grant because there has been cancer research going on for years there. Dr. Robert J. Gillies and his colleagues have already demonstrated that pre-treatment of mice with sodium bicarbonate results in the alkalinization of the area around tumors. The same researchers reported that bicarbonate increases tumor pH and also inhibits spontaneous metastases in mice with breast cancer. It also reduces the rate of lymph node involvement. I recently published about fungal infections, and breast cancer has been found to be associated with increased frequency of mold-fermented cheese consumption. Fungi produce toxic metabolites called mycotoxins that can cause cancer. Aflatoxin is a mycotoxin with carcinogenic potency that is found in inferior peanut butter and other nut and dairy products. Researchers in 1993 examined human breast cancer tissue and found significant carcinogenic aflatoxin within the cancer tissue implicating aflatoxin and thus fungus as a cause of breast cancer. Sodium bicarbonate medical treatments are the time honored method to “speed up” the return of the body’s bicarbonate levels to normal. Sodium bicarbonate happens to be one of our most useful medicines as it treats the basic acid-alkaline axis of human physiology. The pH scale is like a thermometer showing increases and decreases in the acid and alkaline content of fluids. Deviations above or below a 7.35-7.45 pH range in the tightly controlled blood can signal potentially serious and dangerous symptoms or states of disease. When the body can no longer effectively neutralize and eliminate the acids, it relocates them within the body’s extra-cellular fluids and connective tissue cells directly compromising cellular integrity. Conversely when the body becomes too alkaline from too much bicarbonate in the blood, metabolic alkalosis occurs, which can lead to severe consequences if not corrected quickly. Hydrogen ions tie up oxygen. That means that the more acid a liquid is, the less available the oxygen in it. Every cell in our body requires oxygen for life and to maintain optimum health. Combine that with what we know about hydrogen ions and we see that the more acid the blood (the lower its pH), the less oxygen is available for use by the cells. Without going into a discussion of the chemistry involved, just understand that it’s the same mechanism involved when acid rain “kills” a lake. The fish literally suffocate to death because the acid in the lake “binds up” all of the available oxygen. It’s not that the oxygen has gone anywhere; it’s just no longer available. Conversely, if you raise the pH of the lake (make it more alkaline), oxygen is now available and the lake comes back to life. Incidentally, it’s worth noting that cancer is related to an acid environment (lack of oxygen)—the higher the pH (the more oxygen present in the cells of the body), the harder it is for cancer to thrive. Understanding this is important for two reasons: (1) it reveals one of the primary benefits of alkaline water—more “available” oxygen in the system and (2) it explains why alkaline water helps fight cancer. The ocean, the mother of all life, has an average pH of about 8.1. The ideal pH for blood sits at about 7.4, slightly alkaline—not acidic. If you’re eating well and living cleanly, then yes, you want to drink water with a naturally occurring pH only slightly above neutral. However, if you are eating the typical Western diet, high in meat, grains, sodas, and sugars that acidify the body, then you have a different problem. Your pH balance is now so far out of normal that you must go beyond normal in the other direction to counter it. My recommendation for daily drinking water pH is about 7.5-8—depending on how acid forming your diet is. Long-term consumption of higher pH water should be reserved for special circumstances. The most famous mountain waters in the world, waters renowned for their healing properties, are highly alkaline. I’m referring to the waters coming down from the Himalayas, and specifically to the waters of the Hunza Valley, which have a pH that runs between 9 and 11. One sample study is by Le, et al. (1986), in a French case-control study of 1,010 breast cancer cases and 1,950 controls with nonmalignant diseases, found that breast cancer was found to be associated with increased frequency of mold fermented cheese consumption. Going, et al. (1990) found that weddellite (calcium oxalate) crystals are present in calcifications found in the breast tissue of patients with breast cancer. Calcium oxalate crystals are formed when calcium binds with oxalic acid. Oxalic acid is a mycotoxin that can be produced by a number of different fungal species. Some fungi produce such large amounts of oxalic acid that they are used for commercial production of chemicals. Aspergillus niger fungal infection in human lungs produces large amounts of oxalic acid. The FDA is working to limit the amount of salt used and served by restaurants, but not only will that not help us, it might actually do harm. The government and specifically the Food and Drug Administration (FDA) have been mulling over legislation that would regulate the amount of salt used and served by restaurants, following a recommendation by the Institute of Medicine (IOM) in 2010. Now, being a physician and being against sodium reduction is like being a member of PETA and entering the Nathan’s hot dog eating contest-and winning. It is generally frowned upon. In addition to pursuing this regulatory intervention, the government, along with several medical professional societies, recently launched the Million Hearts initiative. This program, paid in part with tax dollars, aims to reduce heart attacks in the U.S. by one million. But the ends do not always justify the means, no matter how noble and good the intentions. A main goal of that program is to reduce sodium consumption by 20 percent. This mandate might be debatable if the evidence between current amounts of sodium consumption and an increased risk of morbidity and mortality was incontrovertible. It is not. It remains at present inconclusive. The theory is based on the observation that increased sodium intake is associated with an increase in blood pressure. It is in a modest way. It is widely preached that hypertension is associated with an increased risk of cardiovascular disease, kidney disease, and stroke. This is true. The assumption is therefore then made that by reducing dietary sodium we will reduce hypertension and thus reduce these untoward effects. This has not been demonstrably or conclusively shown, but it makes for great slogans, off the cuff advice, and lazy recommendations. It also makes for poor publicly mandated policy. Over 70 percent of daily sodium intake comes from processed, pre-packaged, and prepared foods. Only about five percent of daily sodium intake comes from salt added to properly season food that is freshly cooked. Even if you add salt at the table, this makes up only about six percent of daily intake. Another 10 percent (roughly) is inherent in food itself. The government’s own recommendations (PDF) note that the hypertensive effect of excess sodium consumption is manifest at levels above six grams per day. The previous federally recommended amount of daily sodium consumption was around a teaspoon, about 2.3 grams. The current recommendations are for 1.5 grams daily. The average American currently consumes around 3.4 grams of sodium per day. The governmental recommendations are predicated on the assumption that the “taste for sodium is acquired and can be modified” (PDF). The reason sodium and chloride (the constituents of what we refer to as ‘salt’) are classified as essential minerals is that we require them to live. We are physiologically programmed, like a gazelle on the Serengeti, to seek out and consume salt should we not get a sufficient amount in our diet. It is hardly an acquired taste like caviar or country music. 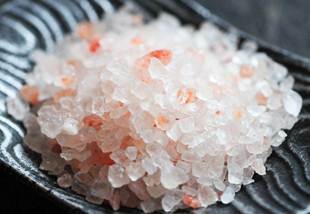 Additionally, the government asserts that since “consuming less salt or sodium is not harmful, it is understandable why the Federal Government recommends that healthy normal individuals moderate their salt and sodium intake.” The only problem here is that many studies, some acknowledged in the government’s own position paper, have questioned the safety of too much sodium restriction — or even any restriction at all. Several papers published in 2010 and 2011 have continued to raise this question — even as the government forges ahead with publicly mandated policy. A study published in 2011 by Dr. Jan Staessen followed about 3,700 patients for eight years and divided them into tertiles of low, medium, and high sodium intake. The highest death rate was in the group with the lowest sodium intake; the lowest death rate was in the group with the highest sodium intake. An even larger study was done by Dr. Salim Yusef and his group out of McMaster University in Canada and published in The Journal of the American Medical Association in 2011. Over 30,000 people were studied for about four years. They examined low sodium intake (less than 2.3 grams), moderate intake (2.3 to seven grams), and high intake (more than seven grams) and found at the extremely high levels there was an increased risk of cardiovascular events. However, they also found that at the low level of sodium intake there was an increased risk of cardiovascular death and increased risk of hospitalization for heart failure. The low sodium intake group also had a 2.5 percent increase in their cholesterol and a seven percent increase in their triglyceride levels. The moderate sodium intake group (consuming between 2.3 and seven grams of sodium per day — well within the daily consumption of the average American) had the lowest risk of cardiovascular morbidity and mortality. So why the smack on salt? We love a villain. It is easy to campaign if everyone can get behind a common enemy and crusade. But good science is not about crusading with preconceived ideas. It’s about asking why, and seeking the truth, however inconvenient it might be and however tortuous the path to get there. Public health policy needs to be based on firm scientific foundation and clear benefit, not populist propaganda. The government needs to leave the recipes and the cookery to the chefs. And leave the salt on my pommes frites. Michael S. Fenster is an interventional cardiologist and professional chef. He is currently working on a new television show, Code Delicious, and his book, Eating Well, Living Better, will be published in early 2012. Visit his website. Osteoporosis is not caused by a lack of limestone, oyster shell or bone meal. Heart attack, however, may be caused by supplementation with these exact same “elemental” forms of calcium, according to two meta-analyses published last year in the British Medical Journal. Back in July of 2011, the British Medical Journal published the results of a high-powered meta-analysis which looked at whether or not calcium supplementation had any effect on cardiovascular disease risk. Indeed, this groundbreaking report, which was based on the results of five clinical trials conducted in the US, Britain and New Zealand, involving over 8,000 people, showed that taking elemental calcium supplements of 500 mg or more increased the relative risk of heart attack by 27%. Though the study made international headlines at the time, critics soon took issue with the fact that it involved calcium supplementation without co-administered vitamin D. However, in April of that same year, another meta-analysis published in the same journal showed that even with co-administered D elemental calcium increased the risk of heart attack by 24%, and in addition, the composite of heart attack and stroke by 15% — in essence, putting those doubts to rest. The idea that calcium supplementation may be toxic to cardiovascular health is not new, as many in the field of nutrition have long warned against supplementation with elemental calcium; which is to say, calcium from limestone, oyster shell, egg shell and bone meal (hydroxylapatite). Despite the growing popularity of elemental calcium supplementation, largely reinforced by conventional health “experts” and organizations like the National Osteoporosis Foundation (whose corporate sponsors include calcium manufacturers like Oscal, and Citrical), the habit simply does not make sense. After all, have you ever experienced visceral disgust after accidentally consuming eggshell? If you have, you know your body is “hard-wired” to reject low-quality calcium sources (stones and bones as it were), in favor of getting calcium from food. Inorganic or “elemental” calcium, when not bound to the natural co-factors, e.g. amino acids, lipids and glyconutrients, found in “food” (which is to say other living beings, e.g. plants and animals), no longer has the intelligent delivery system that enables the body to utilize it in a biologically appropriate manner. Lacking this “delivery system,” the calcium may end up going to places we do not want (ectopic calcification), or go to places we do want (e.g. the bones), but excessively, stimulating unnaturally accelerated cell-division (osteoblasts), resulting in higher bone turn over rates later in life (this is explained in the article below). Or, the body attempts to disburden itself of this inappropriate calcium and keeps it cordained off in the bowel (constipation), or pushes it through the kidneys (stones). Worse, high levels of calcium can ensue in the blood (hypercalcemia), which can contribute to destabilizing the atherosclerotic plaque through the formation of a brittle calcium cap on the atheroma, can contribute to thrombosis (clot) formation, hypertension (that’s why we use calcium channel blockers to lower blood pressure), and perhaps causing arrhythmias/fibrillation and or heart muscle cramping (a rather common, though rarely recognized cause of ‘heart attack’). The breasts too are uniquely susceptible to calcification, which is why we use the same x-rays to ascertain bone density that we do to discern pathological microcalcifications in the breast, i.e. x-ray mammography. Due to the fact that the hydroxyapatitate crystals found in malignant breast cancer may act as a cellular ‘signaling molecule’ or mitogen (inducing cell proliferation) it is possible that certain breast calcifications may be a cause, and not just an effect, of the tumorous lesions found there. This may also help to explain why women with the highest bone density (often obtained through massive, lifelong calcium supplementation) have up to 300% higher incidence of malignant breast cancer. “Brain gravel” is also an increasingly prevalent phenomenon, where autoposied patients have been found to have pebble-size calcium deposits distributed throughout their brains, including the pineal gland (‘the seat of the soul’). The wide range of existing calcium-associateted pathologies, and their increasing prevalence in calcium-fixated cultures, demand further investigation and explanation. Could one aspect be our cultural fixation on mega-dose calcium supplementation? Magnesium, just like magnetite and manganese, owes its name to the greek word Magnesia, a place name derived from the tribal people known as Magnetes. Physicians and therapists have paid scant attention to this crucial element which is one of the most important minerals for all living organisms. Magnesium has a relaxing, anti-oxidant and anti-inflammatory effect on our organism. It is critical for metabolic processes, cell growth and reproduction and is involved in hundreds of enzyme processes affecting every aspect of life. It is not only essential for maintaining good health, but also for detoxification and the treatment of numerous diseases. Anxiety and panic attacks. Magnesium helps keep adrenal stress hormones under control. Asthma. Both histamine production and bronchial spasms increase with magnesium deficiency. Blood clots. Magnesium plays an important role in preventing blood clots and keeping the blood thin without any side effects. Bowel disease. Magnesium deficiency slows down the bowel, causing constipation, which could lead to colitis, toxicity and malabsorption of nutrients. Cystitis. Bladder spasms are worsened by magnesium deficiency. Depression. Serotonin, which elevates mood, is dependent on magnesium. A magnesium-deficient brain is also more susceptible to allergens, foreign substances that in rare instances can cause symptoms similar to mental illness. Detoxification. Magnesium is crucial for the removal from the body of toxic substances and heavy metals such as aluminum and lead. Diabetes. Magnesium enhances insulin secretion, facilitating sugar metabolism. Without magnesium, insulin is not able to transfer glucose into cells. Glucose and insulin build up in the blood, causing various types of tissue damage. Fatigue. Magnesium-deficient patients commonly experience fatigue because dozens of enzyme systems are underfunctioning. An early symptom of magnesium deficiency is fatigue. Heart disease. Magnesium deficiency is common in people with heart disease. Magnesium is administered in hospitals for acute myocardial infarction and cardiac arrhythmia. Like any other muscle, the heart requires magnesium. 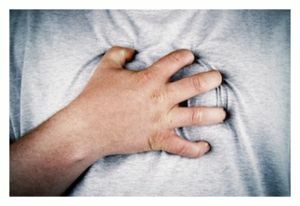 Magnesium is also used to treat angina, or chest pain. Hypertension. With insufficient magnesium, blood vessels may go into spasm and cholesterol may rise, both of which lead to blood pressure problems. Hypoglycemia. Magnesium keeps insulin under control; without magnesium, episodes of low blood sugar can result. Insomnia. Sleep-regulating melatonin production is disturbed with insufficient magnesium. Kidney disease. Magnesium deficiency contributes to atherosclerotic kidney failure. Magnesium deficiency creates abnormal lipid levels and worsening blood sugar control in kidney transplant patients. Migraine. Serotonin balance is magnesium-dependent. Deficiency of serotonin can result in migraine headaches and depression. Musculoskeletal conditions. Fibrositis, fibromyalgia, muscle spasms, eye twitches, cramps and chronic neck and back pain may be caused by magnesium deficiency and can be relieved with magnesium supplements. Nerve problems. Magnesium alleviates peripheral nerve disturbances throughout the body such as headaches, muscle contractions, gastrointestinal spasms and calf, foot, and toe cramps. It is also used in treating the central nervous system of vertigo and confusion. Obstetrical and gynecological problems. Magnesium helps prevent premenstrual syndrome and dysmenorrhea (cramping pain during menses). It is important in the treatment of infertility, and alleviates premature contractions, pre-eclampsia and eclampsia in pregnancy. Intravenous magnesium is given in obstetrical wards for pregnancy-induced hypertension and to lessen the risk of cerebral palsy and sudden infant death syndrome (SIDS). Magnesium should be a required supplement for pregnant women. Osteoporosis. Use of calcium with vitamin D to enhance calcium absorption, without a balancing amount of magnesium, causes further magnesium deficiency which triggers a cascade of events leading to bone loss. Raynaud’s syndrome. Magnesium helps relax the spastic blood vessels that cause pain and numbness of the fingers. Tooth decay. Magnesium deficiency causes an unhealthy balance of phosphorous and calcium in saliva, which damages teeth. Correcting magnesium deficiency provides relief in these and other conditions too numerous to list in this article. Standard serum (blood) tests are useless in screening for magnesium deficiency since less than 1% of our body’s total magnesium can be measured in our blood. Unfortunately, doctors rely upon this test even though magnesium must be measured at work inside the cells and tissues with very specific tests. For the average person, the easiest way to diagnose magnesium deficiency is simply by supplementing for at least a few months to see if symptoms are relieved. Under ideal conditions we need approximately 300mg of magnesium to offset daily losses. If you are under mild to moderate stress – physical or psychological disease, physical injury, athletic exertion, or emotional stress – your requirements for magnesium increase. Foods rich in magnesium, with a relatively low sensitivity profile, include fermented legumes (i.e. beans) and organic green vegetables. Since an average good diet may supply around 250mg, from which only half is actually absorbed, researchers feel that most people would benefit from magnesium supplementation. Otherwise, body tissue must be broken down to supply this essential mineral. To benefit from magnesium supplementation, take chelated magnesium (bound to organic amino acids) for maximum absorption: magnesium citrate, malate, orotate, taurate, or magnesium glycinate. Do not use magnesium oxide because it is basically a laxative. The recommended dose is 6-8mg/kg of body weight (3 to 4.5 mg/lb), although 200mg four times per day is a better dose. If this dose has a laxative effect, cut down by 200mg until this effect stops. Spread your magnesium doses throughout the day because there is only so much you can absorb at one time. As you remedy your deficiencies over time, you might need less supplementation – your stools will tell you. Some forms of chelated magnesium are better than others for certain conditions. 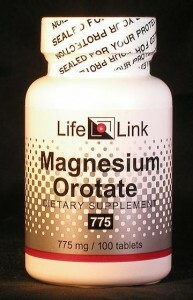 Magnesium taurate is best for heart conditions. Magnesium taurate, glycinate and orotate are best for those who tend to have loose stools since they have less laxative effects. Magnesium malate is the best form to treat the chronic fatigue, pain, and insomnia of fibromyalgia. Magnesium can be taken with or without meals but it’s best to take it between meals as it requires stomach acid to be absorbed. Digestion after a full meal may make the stomach acid less readily available for mineral absorption. Magnesium is an alkaline mineral which may act as an antacid, neutralizing the stomach acid needed for digestion. Magnesium chloride can be used to make magnesium oil which can be readily absorbed through the skin when sprayed or rubbed on the body. It increases magnesium bioavailability in the body and provides the ideal solution for those individuals who experience loose stools when they try to take enough oral magnesium to meet their needs. Some researchers have found that using magnesium oil at a concentration of 25% magnesium chloride restores a magnesium deficiency in a matter of weeks that would otherwise require months or a year to restore with oral supplementation. If you pump about 6 sprays of magnesium oil for each leg and arm, you are applying about 400mg of magnesium (a 25-35% magnesium chloride solution delivers between 13 and 18 mg per pump). Using a few sprays under your arms will also function as a highly effective deodorant. If any redness or stingy feelings result, use a more diluted magnesium oil. Requirements for a very ill person are much higher than for a healthy person. In general, if you take a full body magnesium bath, two ounces of magnesium chloride could be used. Some people prefer a very concentrated magnesium chloride bath with as many as eight ounces of magnesium at a time. Foot baths use much less water, so two ounces will yield a very concentrated intake. Soak the body or just the feet in the warm solution for 20-30 minutes. It is best to do it daily during the first week, starting at lower concentrations and working towards higher levels. Then continue at 2-3 times a week for 6-8 weeks or longer. Magnesium sulfate, also known as Epsom salts, is another excellent option even though it is rapidly excreted from the kidneys and more difficult to assimilate. The effects from Epsom salt baths do not last as long, so you will need more magnesium sulfate than magnesium chloride in a bath to get similar results. For the average individual, high doses of magnesium have no side effects except loose stools. However magnesium therapy is contraindicated in individuals with kidney failure, myasthenia gravis, excessively and pathological slow heart rate, and mechanical bowel obstruction. In such cases, it should at the very least be given under the supervision of a health care provider. People often find relief from their symptoms when they take magnesium, so they immediately tell friends and relatives. This word-of-mouth spread of information about this miraculous mineral is really making a difference in the epidemic of magnesium deficiency, and I hope that you will benefit as well.